We have designed a romantic experience exclusively for all of our newlywed couples that choose to spend their honeymoon at Palazzo Margherita with a 3-night stay in Suite Eight (Gia Suite). Upon arriving at our luxury hotel in Italy, you will be welcomed with a beautiful flower bouquet, traditional Italian confetti (a symbol of fertility and abundance), and glasses of sparkling wine (Prosecco or Franciacorta). 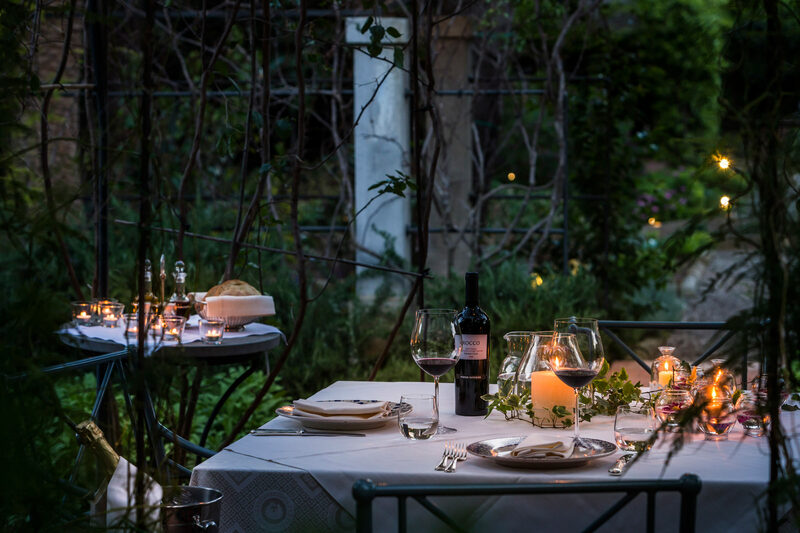 You will enjoy a beautiful candlelit dinner at our luxury hotel in Italy, complete with our chef’s surprise dessert and accompanied by background music of your choice. Dinner can be served either in a romantic area of our beautiful historic garden or in your in-room dining area. The following morning, wake up to an intimate breakfast served to you in your suite. Why choose the Gia Suite? 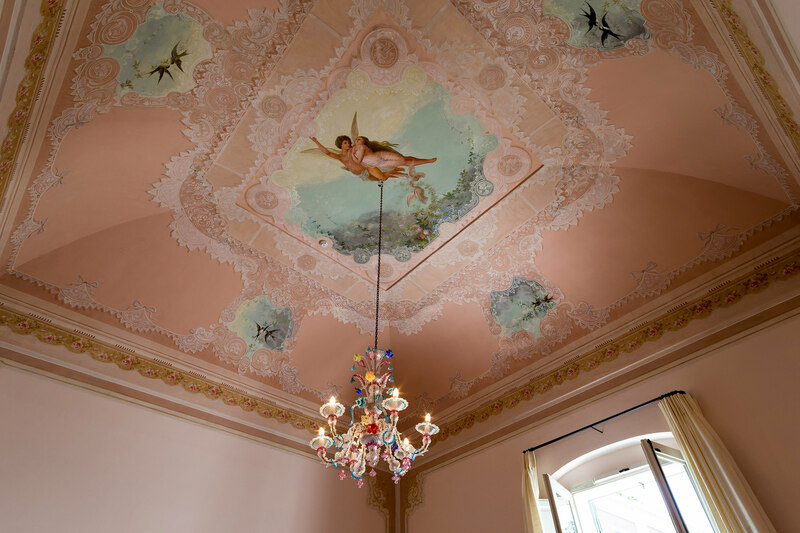 Many years ago, when the Palazzo was still the private home of the Margherita family, owner Giuseppe asked local artisans to paint the ceiling of this suite with a romantic mythological scene (Cupid and Psyche) in order to bestow good fortune and a happy marriage for his beloved daughter. It gives us great pleasure to continue this tradition for our newlywed guests as we believe that spending a honeymoon in the Gia Suite assures good luck for a long and happy marriage!